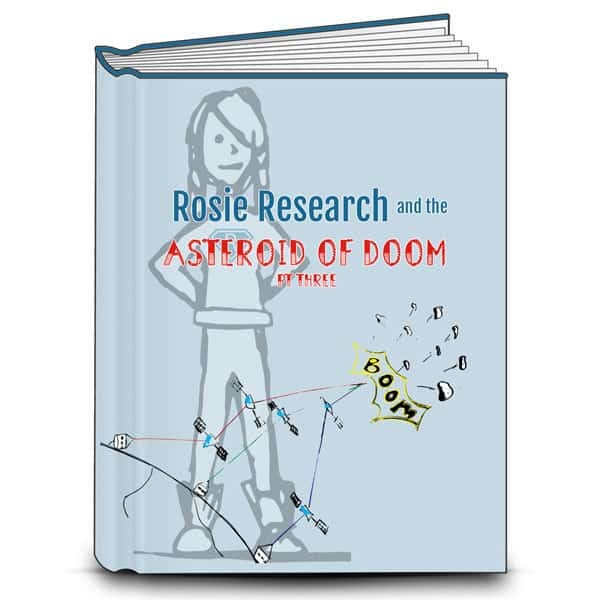 Rosie and her #STEMsleuths saved the world from the Asteroid of Doom. But now our planetary orbit is filled with tons of smashed asteroid bits. We have to make sure none of those chunks of rock enter our atmosphere – and to do that we need telescopes! 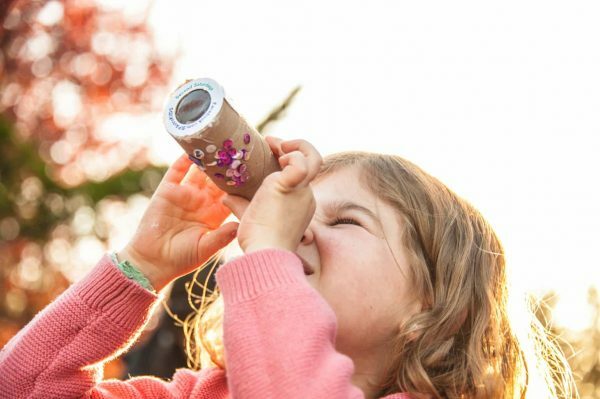 Learn how to make your own homemade telescope, measure the magnification, and get sky charts of meteor showers to check out! In the first two parts of our Asteroid of Doom kids optics lab we had fun saving the world while learning a little bit about using optics to bend light. Not that we obliterated the Asteroid of Doom, however, there is a TON of debris that needs to be tracked. So much that computer systems are being overloaded, and Rosie Research and her #STEMSleuth companions are ready to step in and watch the night skies. That means we need to make homemade telescopes! 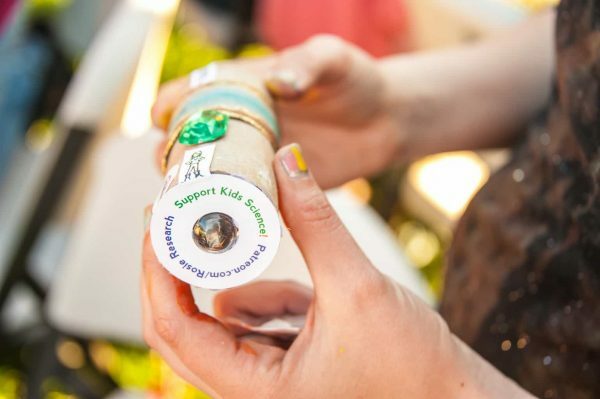 In this lab we will be building simple homemade telescopes with easily sourced materials! 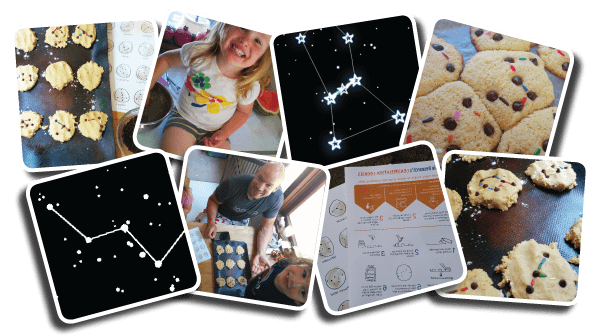 We also have a slew of add on activities dealing with our night sky – kids will have the chance to become planetary scientists as they discover Pluto, build 3D constellations, bake up delicious constellation cookies and more! We’re changing the download setup this month as well in a much easier and streamlined compressed folder! Just download the zipped folder and open it up for all the goodies! There is one lab book for the third part of our trilogy, but lots of add on activities to help scale it to your child’s age and interest! Tabloid versions of the labs are also available if you want to print the labs on 11×17 paper to make each lab into it’s own folder. 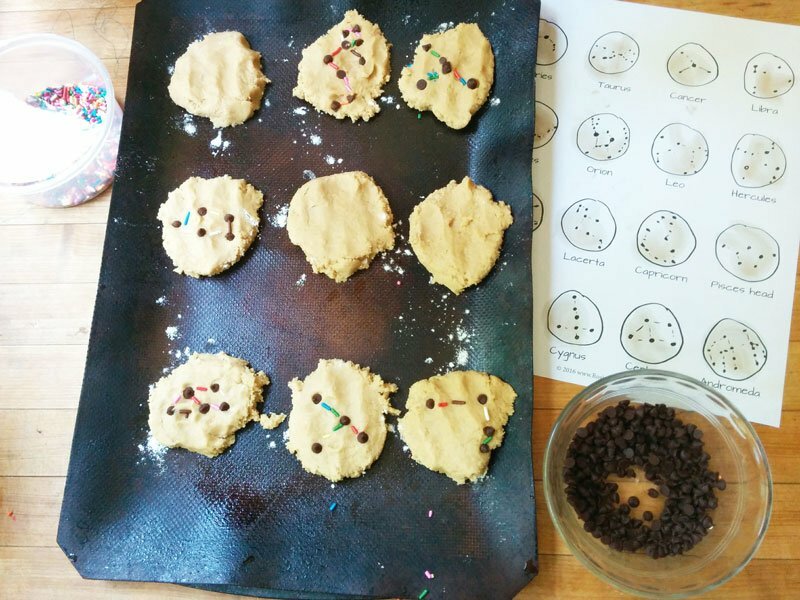 Constellation Cookies: Learn common constellations in this delicious activity! Blinking Planets: Can you find the planets in our bouncy ball sky? It’s an extreme I Spy until you check out our blink comparator online that let’s you find it in the blink of an eye! Finding Pluto: Check out the real data of Pluto’s discovery – can you find it in the night sky? 3D Constellations: See just how far apart stars are as you create 3D planets!